Named one of the “Best Real Estate Agents in Dallas” for 2006, 2008, 2009, 2010, 2011 and recently for 2012 (by “D Magazine”), and one of the top agents in Plano and Frisco for homes sold (by $ and number), and the top agent for 2007, 2008, 2009, 2010 & 2011, experienced Real Estate Agent Judi Wright & Associates is ready to assist you with your home sale or purchase with recommended home financing preferred lenders! 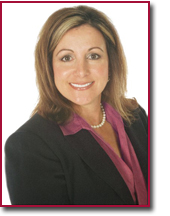 With over 25 years of sales and negotiating experience, Certified Luxury Home Marketing Specialist Judi Wright is extremely qualified to help negotiate the purchase or sale of your home. Allow Judi Wright & Associates to show you their expertise! The Wright team specializes in assisting clients with the purchase or sale of properties in the greater Dallas area (all suburbs). Our team has over 50 years of experience and knowledge in the area. We’ve been in the area since high school and know areas well that others are just exploring. We specialize in Collin, Dallas and Denton county and all cities in these counties. We are very experienced in relocations (both on the buyer and seller side) and are uniquely skilled at making the transition as easy as possible. We work in Plano, Frisco, Dallas, Carrollton, Allen, McKinney, Lewisville, Little Elm, and other nearby suburbs. Our team is known for the level of customer service that we provide and in 2011, 99.5% of our property sales came from customer referrals. We are very proud that clients like our happy home buyers are so pleased with the level of support that the receive, that they are willing to refer us to their family, friends and co-workers. Do you know someone we can help? Just call – we take your trust in us very seriously! The Wright team provides written references and testimonials for your review. Our clients say they will use us again and refer us to their friends. That is the highest compliment we can receive. While we are luxury specialists, no home is too large or too small for The Wright Team and your needs are our priority. We truly love what we do and we know what it is like to move and we want to make it as easy as possible for you and a pleasant memory. View my listings, search homes for sale! Make the “Wright” Choice…for all the Right Reasons!! !